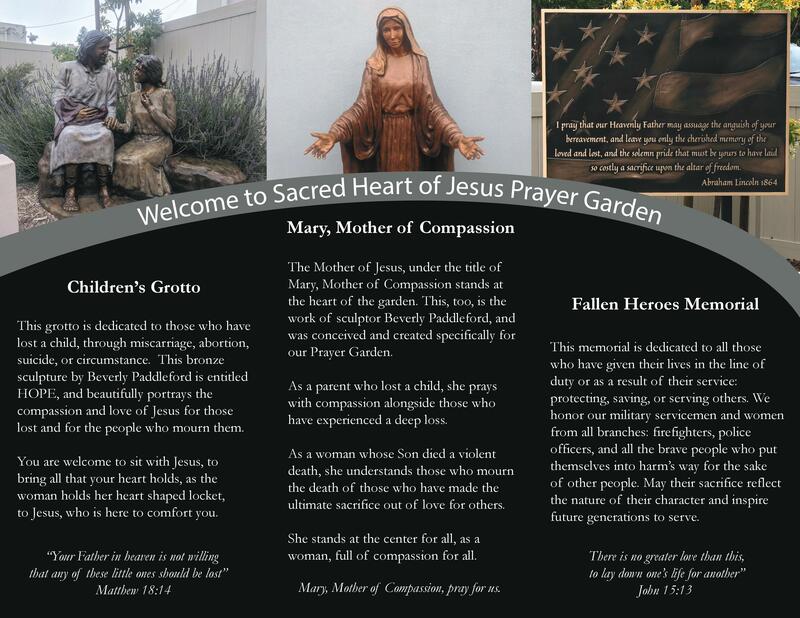 The Heart of Jesus Prayer Garden is open daily and is located across the alley behind the church. 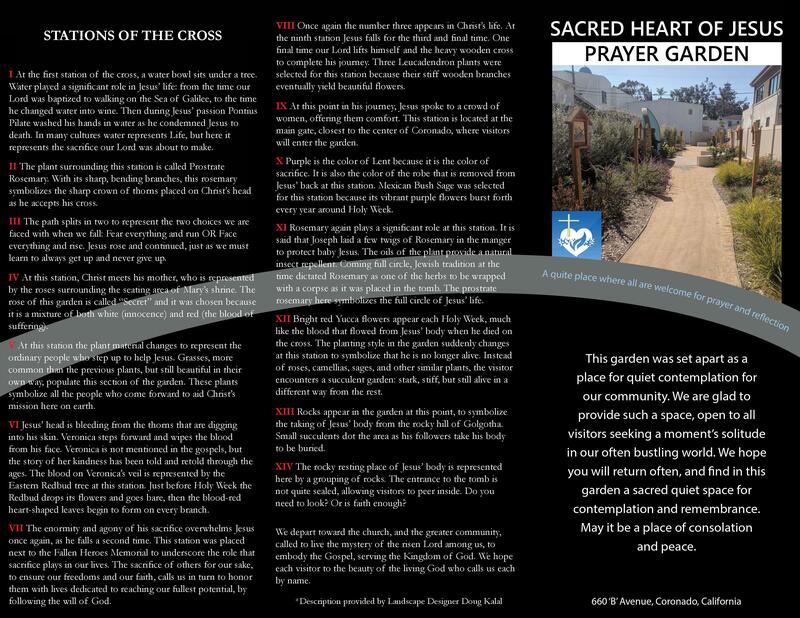 We dedicate our efforts in this garden to the glory of God, to be used for God’s purposes here in this small corner of the Lord’s vineyard; for our parish and our community. 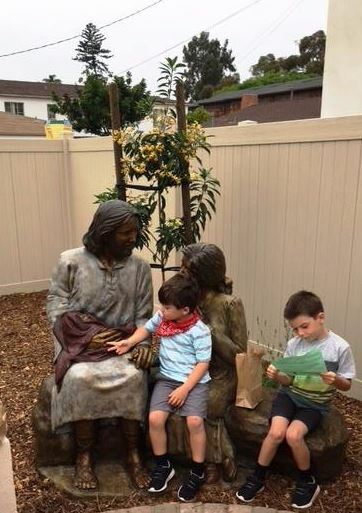 This garden was set apart as a place for quiet and contemplation for our community. We are glad to provide such a space, open to all visitors seeking a moment’s solitude in our often bustling world. We hope you will return often, and find in this garden a sacred quiet space for contemplation and remembrance. May it be a place of consolation and peace.